I call her earlier than normal, mid-day, to tell her we’ve not been hurt in the explosion. I walk out to the porch, sit in a dilapidated rocking chair. It is the rocking chair where I nursed my first child, though, of course, it was indoors then, Brooklyn. I want to say, Mom! Mom, are you okay!? But her voice is too subdued, serious, for me to remonstrate. “Do you mean your family?” I ask at last. “Yes, you know–” She names a sister, brother. She admits, one of the first times ever, that her memory’s just not so good anymore. Though I can be hard as nails against her bragging, I dispute that. I tell her how she couldn’t get to some of the funerals, how, because she took such incredible care of my dad back then, she just couldn’t travel. No wonder the deaths might not seem very real, I say. She thanks me for going through it all. As we talk, I think of how her dearest sister died the day my first child was born, how my mother went from one hospital to another, how that was a funeral that I couldn’t make, what with the baby. Draft short story of sorts for Real Toads Open Link. 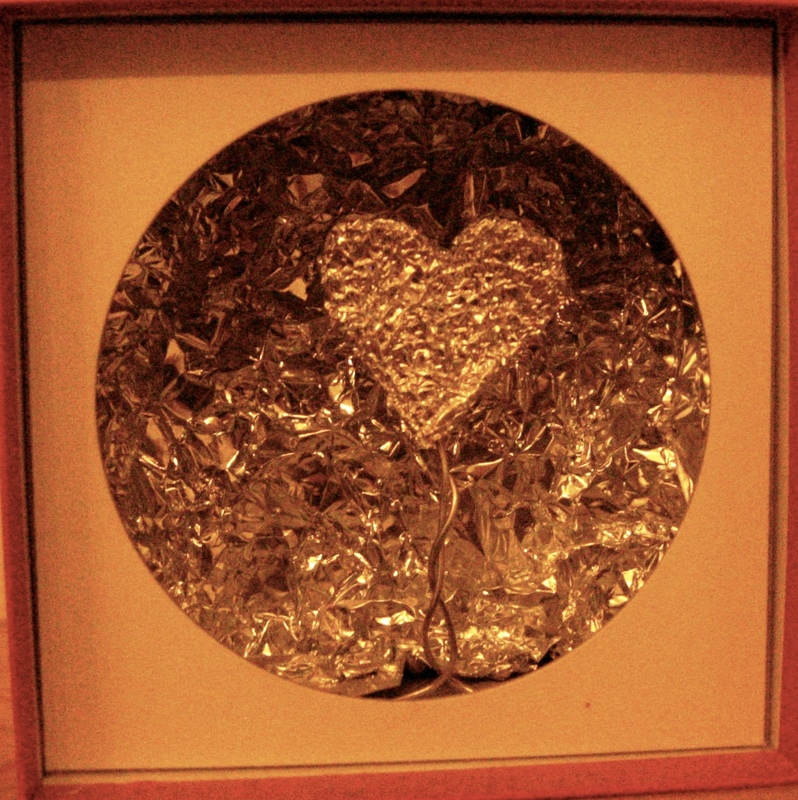 Pic is of a sculpture made of foil, cardboard, by Jason Martin. This entry was posted on October 27, 2016 at 4:48 am and is filed under poetry, Uncategorized. You can subscribe via RSS 2.0 feed to this post's comments. Awww. The details here really make this scene come alive, as you probably know, Karin. Authentic, rooted in a specific time. Love it, and sending love to you! So beautifully told. I was utterly there with you. This gave me chills to read, Karin. You are so brave to take on these subjects so close to hearth and home. Thanks, Kerry. I felt a little worried re posting honestly, but I thought it was an interesting piece. I am so grateful for your kind comment. k.